“Speed of the line” is a concept that plays an important part in landscape design. Often we see strong diagonals at work in Nature- a mountain, a line of trees, or even a roofline of a building. The more steep and uninterrupted that line is, the “faster” it moves the eye- and often it will move the eye right out of the canvas! Here is a little thumbnail showing how that might work. The eye sails right out the right side of the composition. ￼ The speed of the line can be slowed by creating variety in the line, interruptions so to speak, which slow the movement of the eye and break up the extreme diagonal look of the line. As you can see, the movement along the top line is much different in this example. The slight upward tick in the line creates a little eye “stopper” . These are all fairly simple examples and solutions. Let’s see how this has been employed by a variety of artists. 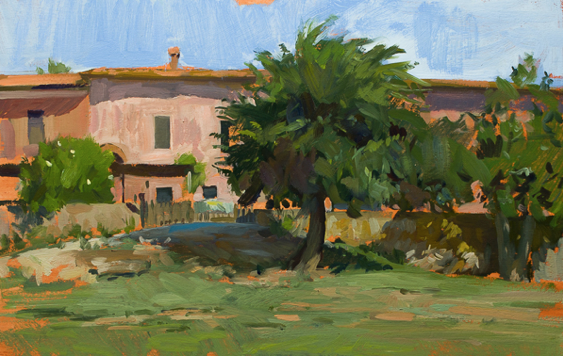 These first two are by American ex-pat plein air painter Marc Dalessio. 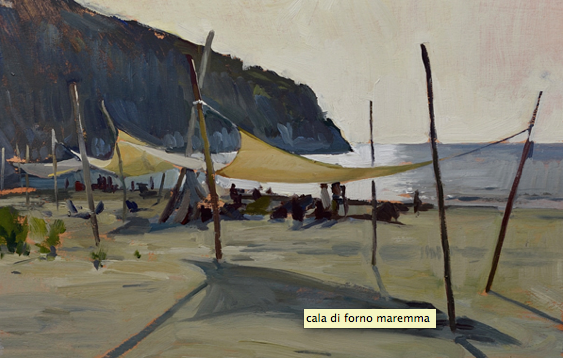 I love how he has used the vertical poles here to both break the horizon line and its “speed” to the right side of the canvas. In the second one, he has used trees to break the line of the roof. On the right side the trees actually obscure it and on the left that small tree behind the building disrupts the speed of the line there. 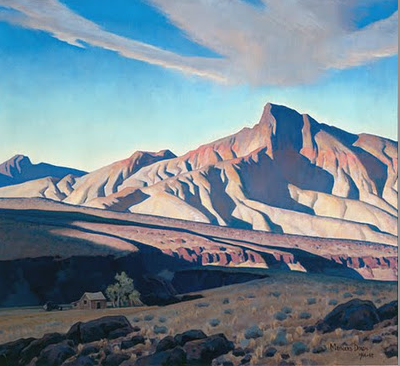 Here is Maynard Dixon, iconic painter of western landscapes. That distant mountain on the left side is a stopper and the upward movement of the clouds also works as a redirection. 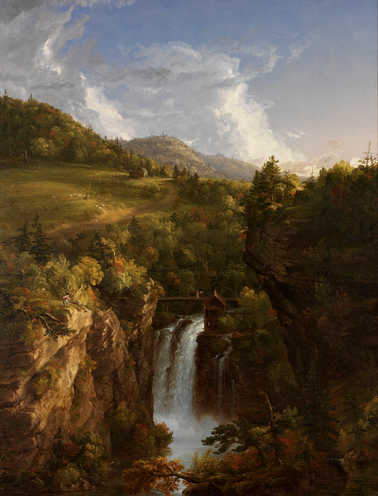 Hudson River School painter Thomas Cole used those trees on the right of the falls to slow down the descent of the mountains behind. In a more intimate scene, Hudson River School painter Jervis McEntee used that tree on the left to stop the eye and to redirect into the sky. So learn to recognize “speed of the line” problems and use some creative variety in the line and “stoppers” to solve the problem! 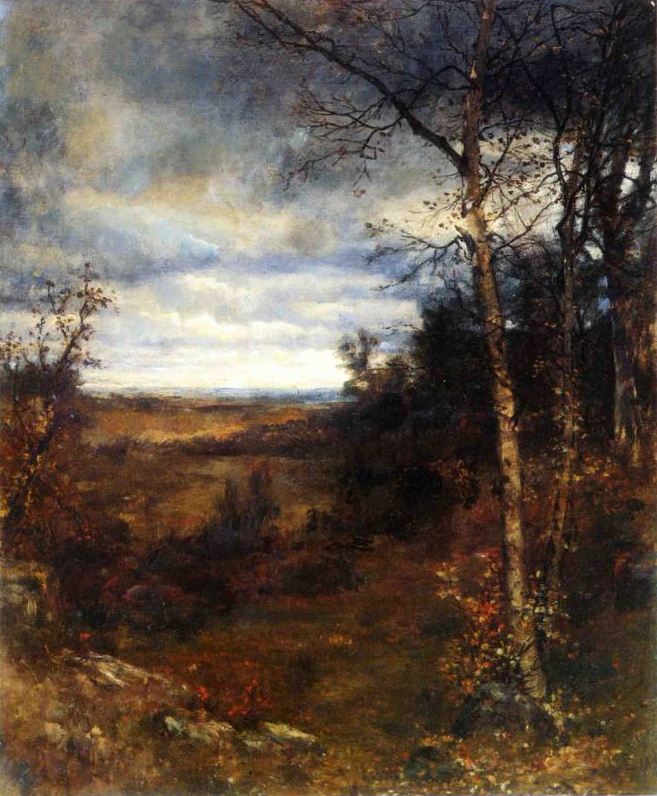 PS Our online class Composing the Landscape starts October 31. Learning to compose effectively give us the tools to express our unique vision of the landscape. Nature gives us raw material. It is up to us to make a painting. Join us! I like being introduced to some new artists and ravishing paintings.